Forge Motorsport Silicone - Radiator Hoses - Dezod Motorsports Inc - Home of the automotive performance enthusiast since 2002. 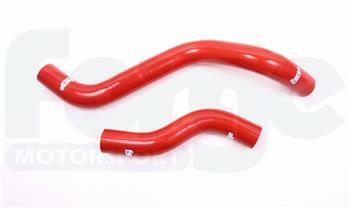 Forge Motorsport Silicone Radiator Hoses are available in a choice of red, blue or black for the. These hoses not only enhance the engine bay but will resist the higher temperatures often associated with modified engines.